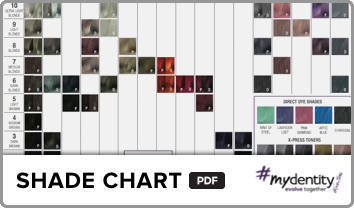 #Hairbesties, it’s a process to achieve fashion colors, we have to pre-lighten — often to a pale level 10. Let’s face it, our client’s hair goes through a lot! That’s why I incorporated an exclusive Keratin & Argan Seed Oil Blend in our Direct Dyes – to ensure your client’s hair is protected & conditioned. YASSS 🙌 #Hairbesties! I can’t wait to see what you think of our Vibrant Pastels!